Few people braved the rain and evening traffic to attend the fixture at Ellis Park last Friday. Those watching the game at home, however, must have looked on with pride as one of South African rugby’s favourite sons led the Sharks on to the field. For the second time in the space of a year, Tendai ‘the Beast’ Mtawarira was honoured for his contributions to the local game. On Friday the prop became the most capped South African in Vodacom Super Rugby history as he ran out for the 157th time. Fans, journalists, teammates, coaches and even opponents lauded Mtawarira in the lead-up to the fixture. The Sharks paid fitting tribute when they produced a 42-5 win and thus ended the franchise’s five-year drought at Ellis Park. Mtawarira himself delivered a performance worth remembering. It was a fine way to mark a milestone game, as well as a timely reminder how he may further serve the Boks at the World Cup later this year. Does Mtawarira deserve to go to Japan? Will he add value? Just how much influence has the big man had at the Sharks and Boks over the years? This is not a question for the fans, critics or even the coaches. This is one for the men that stand side by side with Mtawarira on any given Saturday. Ask them what Mtawarira has done for his franchise, his adopted nation, and indeed for the development of black rugby players over the past decade or so. Those answers provide an insight into how Mtawarira is revered as a person and player. Last year, I wrote an article about Mtawarira for SA Rugby magazine ahead of his 100th Test appearance for the Boks. The experience of working on that piece was unique. Everyone I spoke to had a story that highlighted Mtawarira’s virtues. Everyone wanted me to relay those stories so that the world would know the man and the indelible mark he’s left on the game. Every phone call ended with a suggestion to reach out to another teammate or old friend of Mtawarira’s. 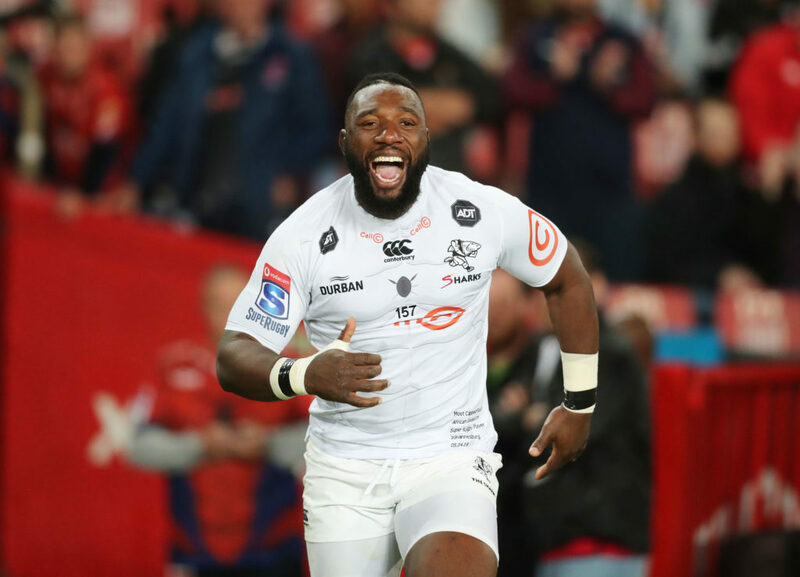 Siya Kolisi, Eben Etzebeth, Bismarck and Jannie du Plessis, Odwa Ndungane, Gary Gold … they all wanted to have their say about a player who never seems to get enough credit, whether he’s playing for the Sharks or the Boks. That in itself is a story worth telling. Every fan and critic recognised what Mtawarira had achieved when he won his 100th Test cap in June last year. 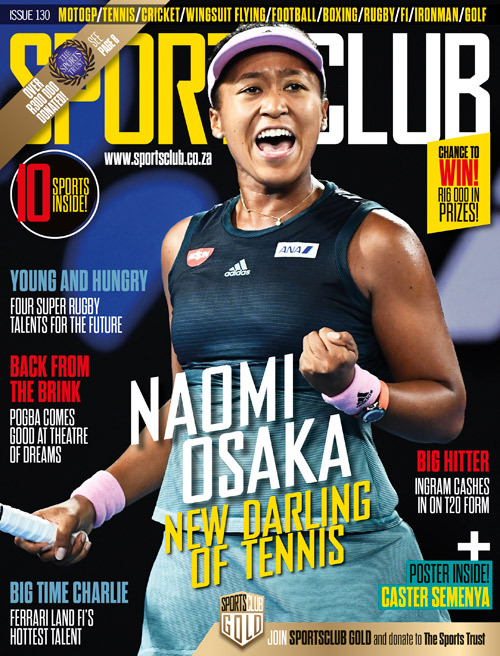 The input from the players – and particularly the input from black players such as Kolisi, who grew up believing that the Bok dream was possible because of men like Mtawarira – cast the legend in a new light. Etzebeth is another who has nothing but respect, admiration and ‘love’ for the big man. Shortly after Mtawarira broke the South African Super Rugby record on Friday, Etzebeth – a proud Stormer – took to Instagram to speak about the achievement. ‘If there was one day I could have been a Shark it would be today with you my brother,’ the Bok lock wrote. The mood was similar in the lead-up to Mtawarira’s 100th game for the Boks last June. The Du Plessis brothers relayed rugby war stories from their homes in Montpellier. They talked about Mtawarira as if he was a sibling. Mtawarira, Bismarck and Jannie played a lot of rugby together at the Sharks. The trio still holds the Bok record for the most Test appearances (20) by a front-row combination. Mtawarira told me that he was determined to star for the Boks at the 2019 World Cup. He made it clear that – for all the talk of milestones and groundbreaking achievements – he was not done yet. We were given a powerful reminder of what he can do – as a ball-carrier and as a scrummager – when he played against the Lions this past Friday. Clearly Mtawarira still has what it takes to contribute as an individual, as part of the pack, and as part of the Bok leadership group. The Beast is a national treasure. His contributions to the South African rugby community – as a Sharks and Bok player, and as the first ethnic black African to represent South Africa in 100 Tests – will never be forgotten. All that said, the evidence suggests that Mtawarira will have more to give in his final World Cup tournament later this year. Ask the players, and they will tell you the same.